Fabergé created many, many miniature animals. Several of them were part of a big animal-commission called the Sandringham Commission, ordered by King Edward VII in 1907. I've already shown you a few critters from that collection, and here comes another one - a little rat! 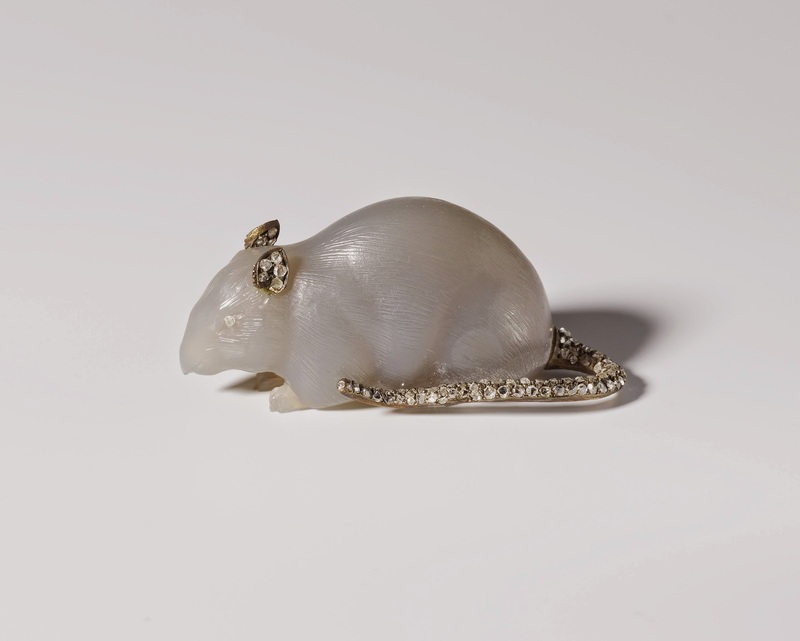 The rat is made of chalcedony and has silver ears and a silver tail, both set with rose diamonds. The dimensions of the little animal are 0.9'' x 1.8'' x 0.8'' (2.2 x 4.6 x 2 cm), and it now lives in the Royal Collection.